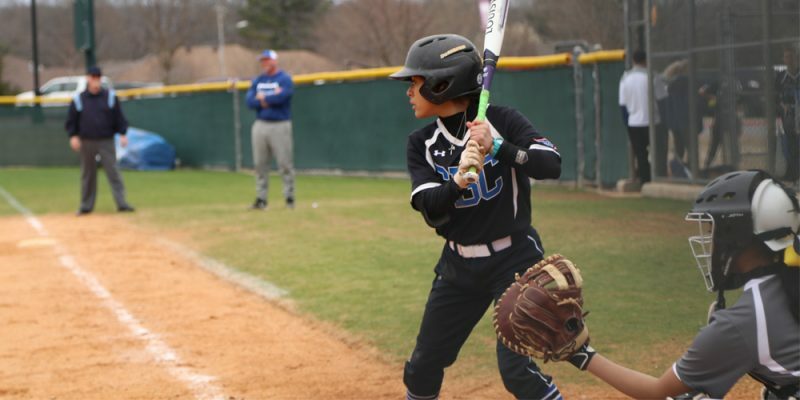 The Lady Mustangs Softball team faced off against Stephens College of Columbia, Missouri, and won both of their games against Friday afternoon, March 29, putting their season record at 17:1. Freshman Ashlyn Spears described one of the best plays of the game, which was a double play in the second inning with sophomore Katlyn Gordon and junior Kinley Burrows. Gordon dove for the ball at second base and quickly threw it to Kinley who touched second base, getting the opposing player out, and then threw it to first base, getting that player out too. The first game’s final score was 11-1 and the second game ended 13-2. Both games were cut short at five innings. The team had several goals during the game. “[Our] goals were to see the ball at bat and to not let a ball drop in the outfield,” said freshman Makenzie Gann. Spears also talked about some other goals.